This is an enlarged image of the ebola virus raging across West Africa. Photo courtesy of examiner.com. As ebola throws its fatal punch to more than 3,000 African inhabitants, leaving many wondering what the future of the virus will be in the United States. Ebola hemorrhage fever, or ‘ebola’ as the devastating virus has been deemed, is a disease caused by one of the five different strands of the ebola virus. According to a CNN report, ebola has been around since the mid-1970s and has a very high mortality rate. So far, the disease killed more than 3,000 people, and President Barack Obama has ordered troops to go to West Africa to try containing the virus. The President said recently at a speech at the Center for Disease Control and Prevention that Americans have nothing to worry about with regards to a major outbreak. “First and foremost, I want the American people to know that our experts, here at the CDC and across our government, agree that the chances of an ebola outbreak here in the United States is extremely low,” Obama said. Obama continued on to say that the government is taking extra measures to ensure that the virus is not spreading in airplanes destined for U.S. soil and trading ports the U.S. has in West Africa. 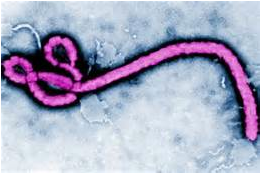 Ebola in the United States has remained contained as the first confirmed case of the virus on domestic soil came out of Dallas, Texas, on September 30, 2014. The patient is currently being treated in isolation and the hospital staff is taking every health code in consideration to ensure the virus does not spread. The virus will inevitably spread, but hopefully it can be contained in a short period of time. I would imagine that people at the CDC are working franticly for a cure not just for the U.S., but West Africa and beyond. In America, we need to do everything we can to make sure that we stay clean and sanitary. The virus spreads in areas where there is an overall lack of resources to ensure that everyone is safe and healthy. Scientists and researchers searching for a cure are saying the virus spreads by blood and bodily fluids, but is not yet considered an airborne risk, meaning you cannot catch the virus from someone coughing or blowing in your face. I am very pleased that Obama is working outside of the United States, specifically in West Africa, to ensure the safety and wellbeing of humanity. We are a very giving nation and anytime we have the resources and personnel to help out our fellow humans, we need to take advantage of the opportunity.